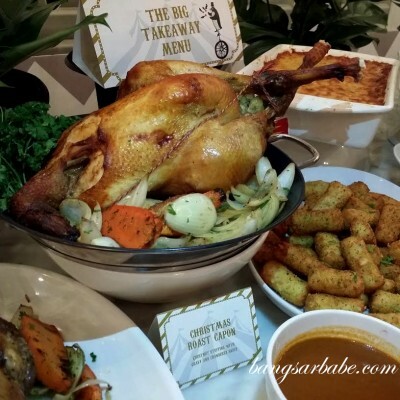 When I was invited to dinner at Private Kitchen, I expected an ‘atas’ dinner experience – like a Chinese underground supper club. But I soon discovered it was anything but that. And that’s a good thing, because it meant I could let my hair down and enjoy my food. Private Kitchen boasts a simple décor with a private room upstairs for functions, big crowds and parties. 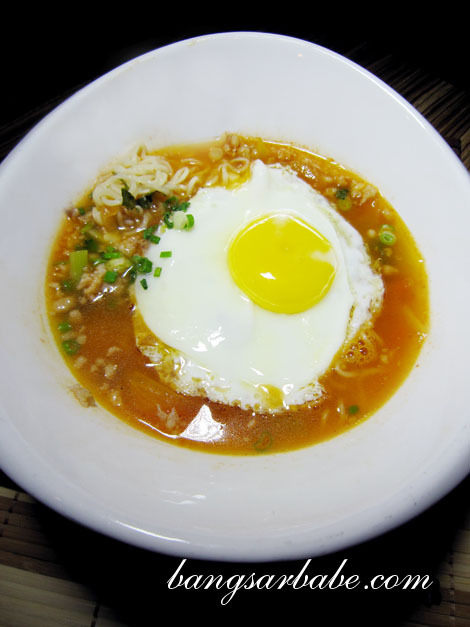 The menu is mostly Cantonese, with a contemporary touch. 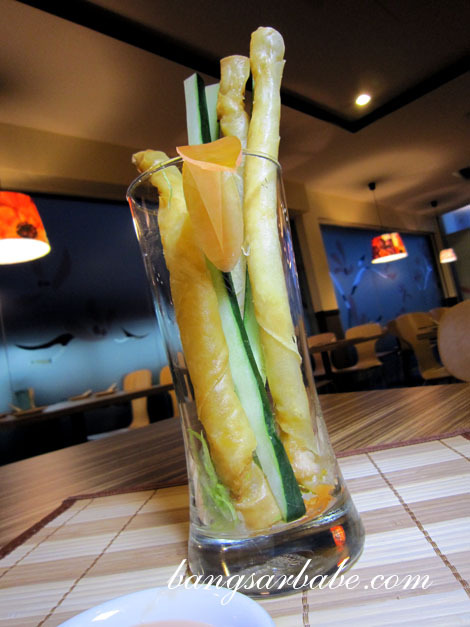 Our food was prepared by Chef Lam Fai, who is trained in both Western and Cantonese cuisine. While waiting for the others to arrive, I tucked into a few appetizers. The Shredded Chicken with Private Kitchen Special “Ma La” Sauce (RM12) was a lovely play of flavours and textures. 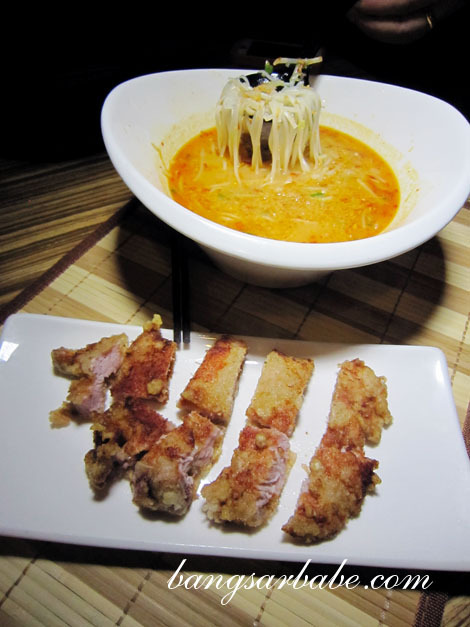 I loved the contrast of the cold shredded chicken against the mildly spicy sauce and crunchy cucumber slices. Also tasty were the Long Spring Rolls (RM10) with shrimp paste, which I happily ate with beer. 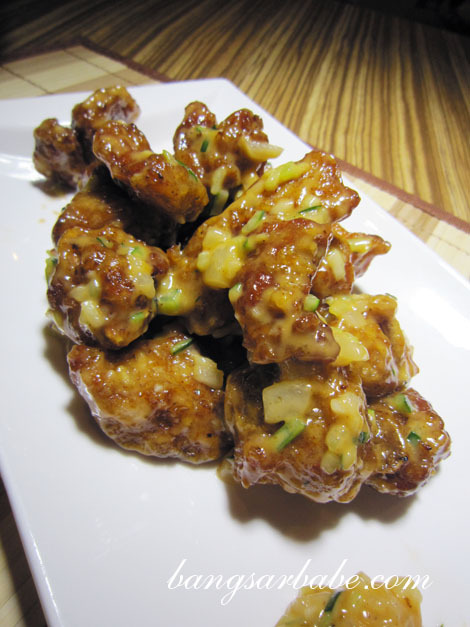 Another hot seller is the Crispy Fried Chicken Wings (RM12) which was nicely seasoned and fried till crispy. 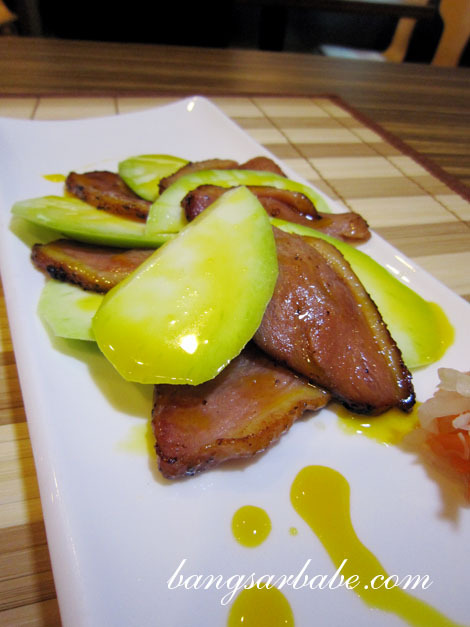 The others really enjoyed the Fresh Mango and Smoked Duck Breast in Mango Sauce (RM15). 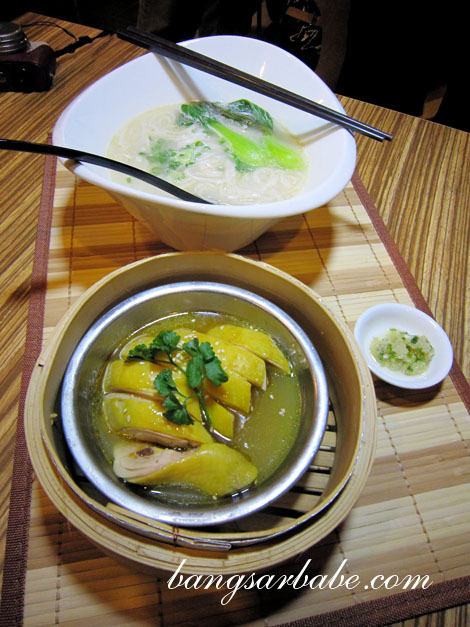 The duck slices were tender with a smoky-sweet flavour, and complemented by the tanginess of the mango. 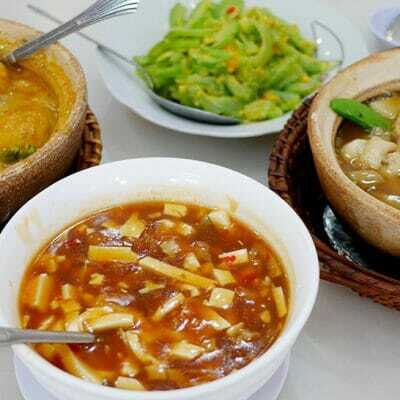 We tucked into a small bowl of Pumpkin Soup, prepared with pork bones, white fungus and pumpkin cubes. Those who aren’t accustomed to sweet-based soups might find this too sweet, but I enjoyed it. Hong Kong Steamed Chicken in Sand Ginger Powder Noodles in Soup (RM9.50) is new on their lunch menu and I hope it stays. The meat was smooth yet firm, and served with a side of ginger and spring onions paste. 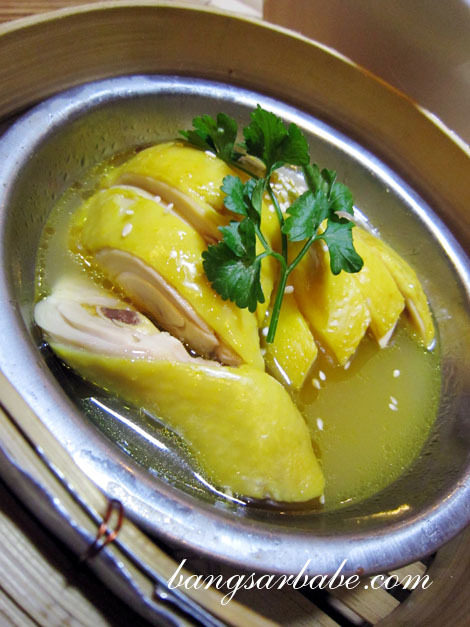 According to Chef Lam, some turmeric is added to give the chicken a glorious yellow tinge. 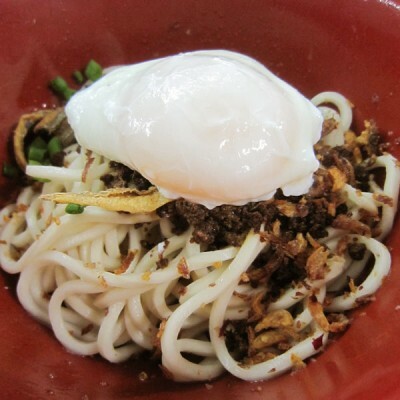 The Noodles in Minced Meat & Fried Egg in Tomato Soup (RM7.50) is also part of the new lunch menu. This was not bad, but not quite my cup of tea. 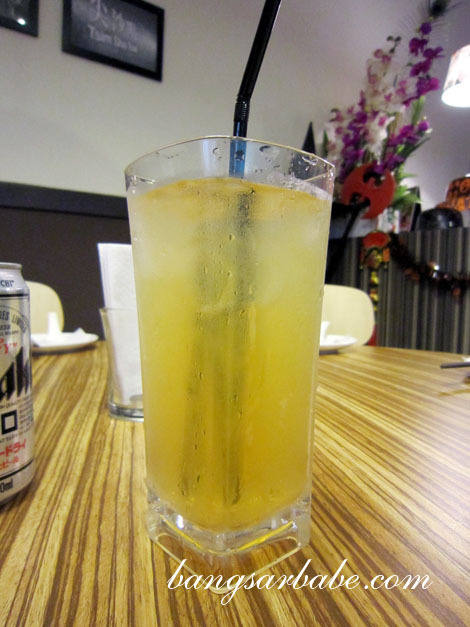 If you’re a fan of Hong Kong style cafes, then you’ll enjoy this. 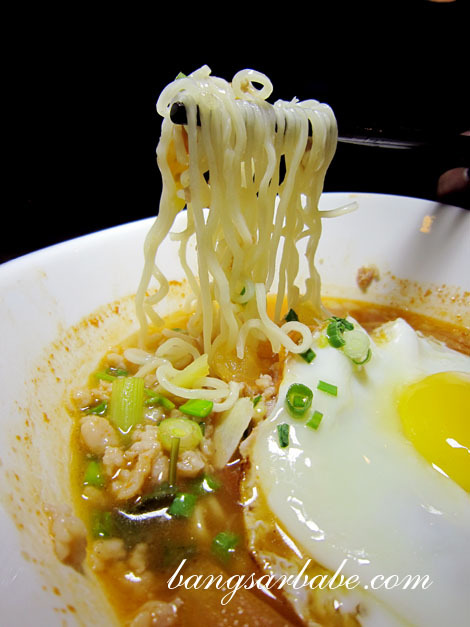 I liked the Typhoon Shelter Noodles with Pork Chop in Chilli Garlic Soup (RM15). The pork chop was gloriously tender, as though the pig had been massaged before entering the slaughterhouse. I noted how Chef Lam is big on seasoning and marinade, for the pork chop was tasty on its own. The chilli garlic soup packed a punch and was every bit a tummy warmer. 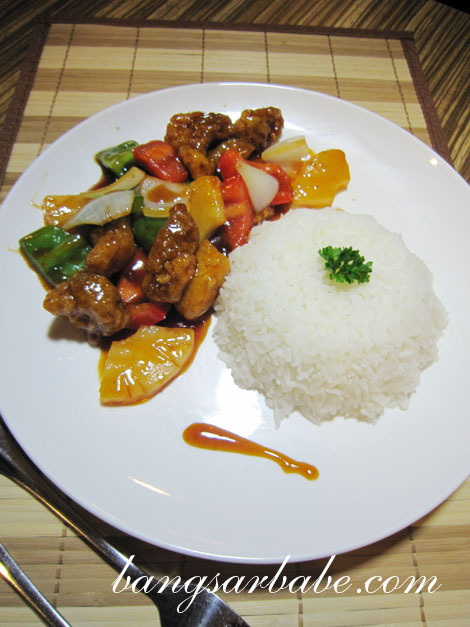 Fans of sweet and sour pork will delight in Private Kitchen’s Stir-fried Pork Ribs with Rice (RM12.50). The pork still maintained a crunchy exterior despite the coating. A sunny side up on top would have been perfect, to make the dish complete. 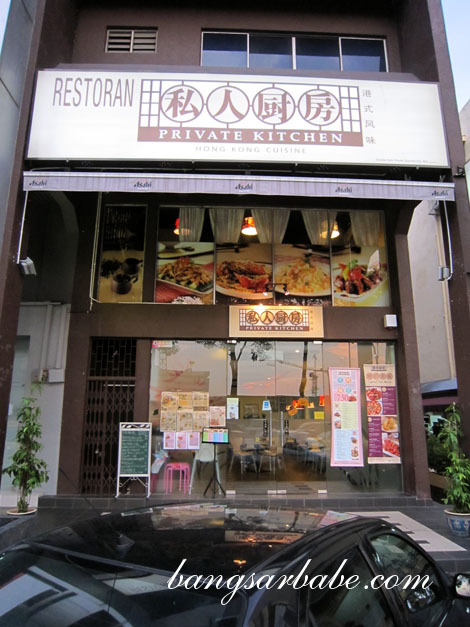 Between the Private Kitchen Fried Rice with Seafood in XO Sauce (RM18) and Fried Rice Portugese Style with Braised Pork Belly & Seafood (RM16), I enjoyed the former. 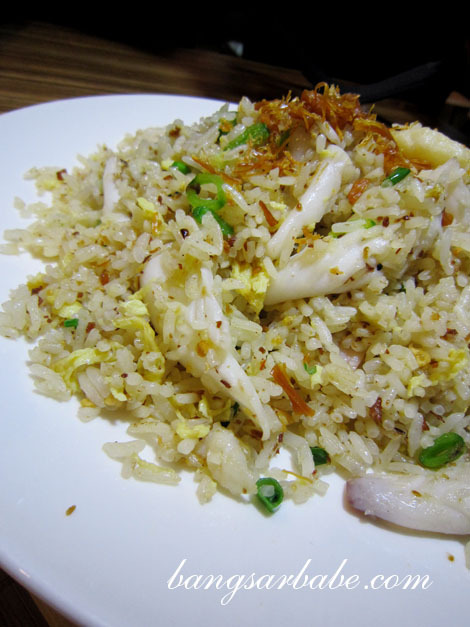 The rice was fluffy and aromatic, with crunchy bits of dried scallop. 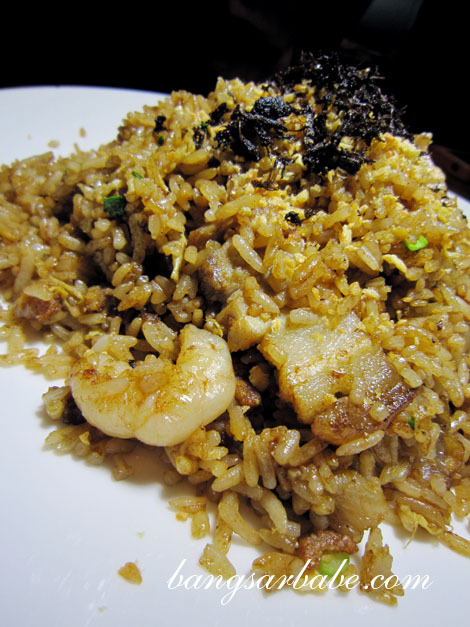 Chef Lam uses olive oil in the Portugese fried rice as an attempt to be healthier. I don’t think the copious amount of pork belly helped! Private Kitchen Strawberry Beef (RM28) sounded odd, but it was really good. 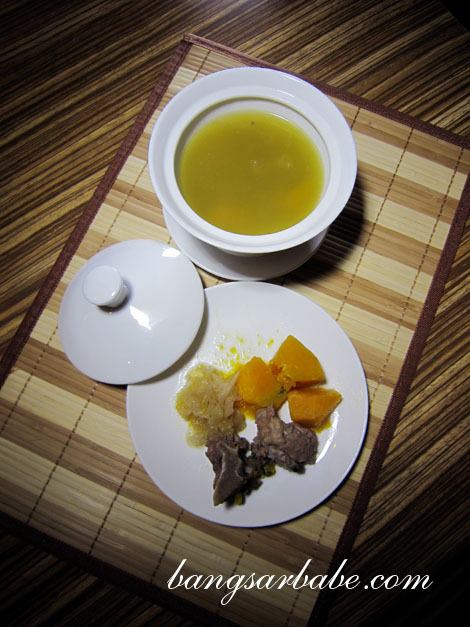 The beef was marinated with lemon juice to give it a tender texture. 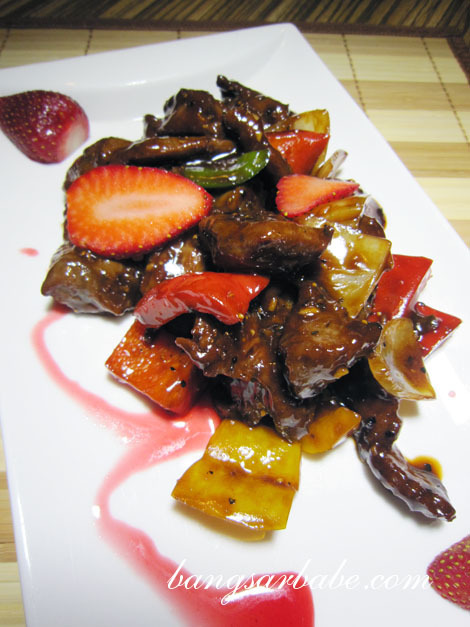 Who knew that the combination of black pepper sauce and sweet-sour strawberry could be so tasty? 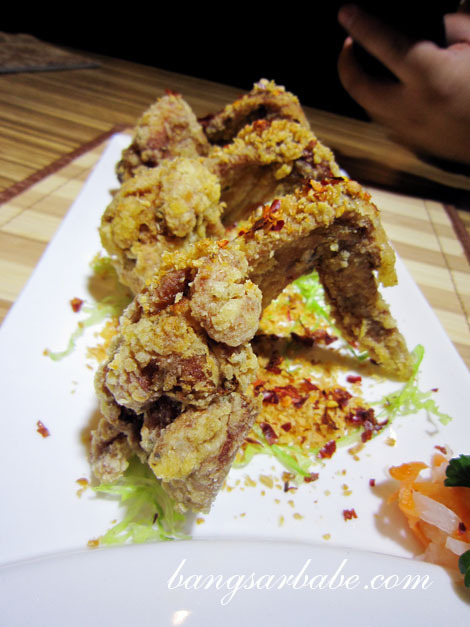 As good as the beef was, it was Deep Fried Pork Ribs with Special Salad Sauce (RM32) that stole the show. The ribs were crispy all over, tender within, and generously coated with salad sauce. I ate most of this as the others were too full to stop me. 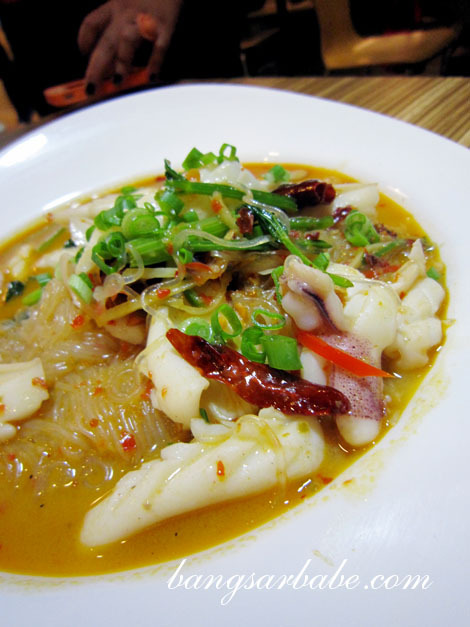 The Stir Fried Squid with Vermicelli in Special Chilli Sauce (RM28) was too spicy for my liking. I couldn’t taste anything else but the chilli. A pity really, for all of us couldn’t manage more than 1/3 the portion. Better was the Portugese Style Baked Chicken Chop (RM18). This dish featured chicken chunks, bell pepper, onions and potato balls in creamy gravy. I especially liked the mash potato balls, where egg was added into the mixture to bind it together. 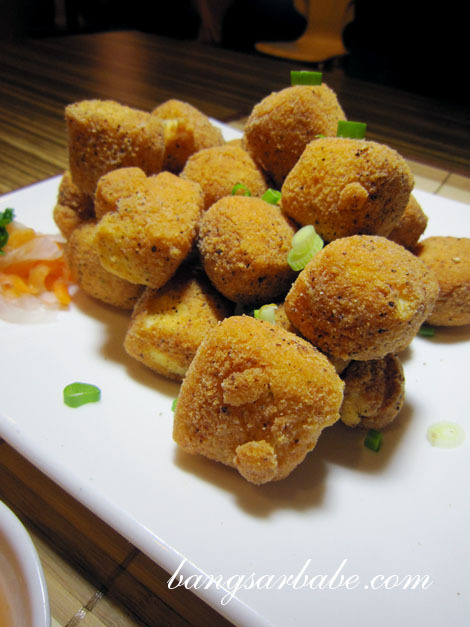 Another beer-pairing dish is the Crispy Fried Tofu with Salt & Pepper (RM16). The crusted exterior encased a silken tofu center that was lovely with chilli sauce. 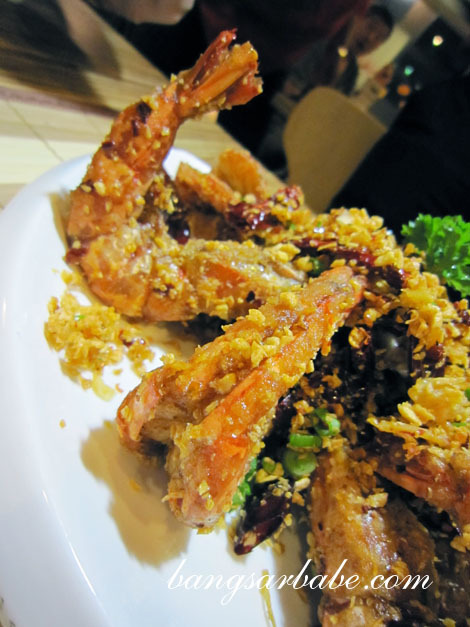 The Typhoon Shelter Tiger Prawn (RM38) boasted fresh prawns, topped with a generous amount of garlic and chilli for aroma and crunch. 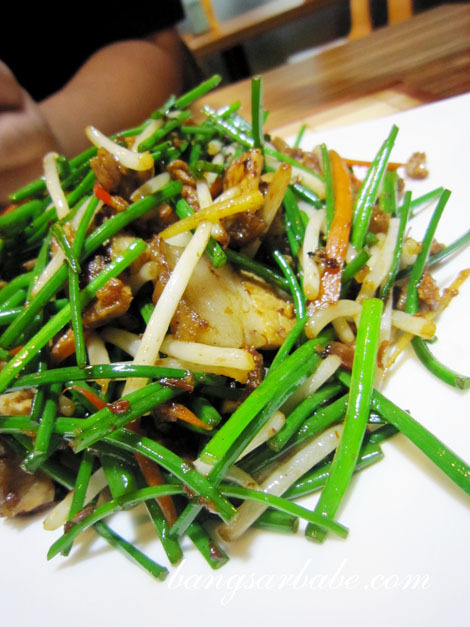 Private Kitchen Sauteed Chinese Chives with Dried Shrimp & Pork Belly in XO Sauce (RM18) was pretty good, but I reckon this should have been served before the pork ribs. After too much good food earlier, this dish lost its oomph. 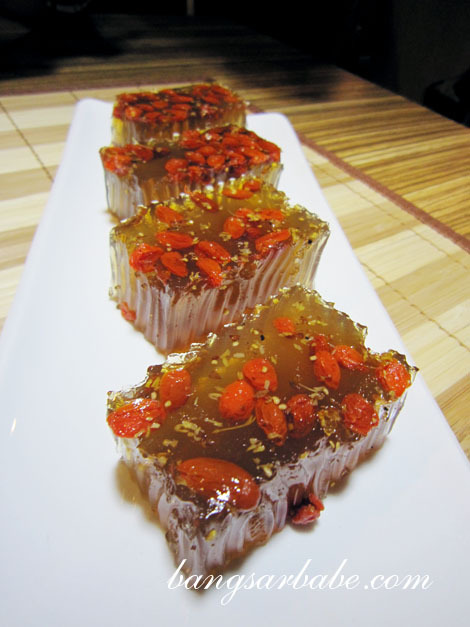 They don’t have many desserts on offer currently; we sampled the Osmanthus Jelly Cake (RM3) which is very popular in Hong Kong. I was told this isn’t quite close to the exact version but since I’ve never been to Hong Kong, I have no basis for comparison. I was very, very stuffed after dinner. Partly my fault for being so greedy and eating all the tofu and pork ribs. The prices are quite reasonable. Did u eat ALL the tofu too?!! LOL!